Yesterday I hit the V&A again to see the Peter Rabbit and Architects Build Small Spaces expo. Considering this is not one of my favourite museums (I love the Science, Natural History and British more) I've been an awful lot of times recently but that is probably down to the fact there are some great exhibitions on at the minute and my friend G works around the corner so we meet for lunch and cupcakes. The Architects expo was fantastic, it explored the idea of retreating from busy urban life into small spaces created throughout the museum. There were 7 different constructions commissioned by the V&A and each was more incredible than the previous. A tree house with trees growing out from it, amazing! You could climb inside and have a sit down relax in the monochrome interior. A giant wooden tower full of books, like a skyscraper library. OK, so this wooden barn was a bit dull but the lights were cool! This was a bent over tree and constructed so it could be climbed on in numerous different ways. There is also a poem inscribed into the wood. This was inside a great big wooden structure that looked a bit dull on the outside but was full of staircases and little rooms hidden from the outside, it was probably my favourite along with the tree house. This big plastic structure reminded me of a twinkling star with all the little lights. I think I've rediscovered a love for this bow belt! There was one more construction but I didn't take a photo, oops! It was a tall metallic tower with a stair case branching out into lots of sealed compartments behind red curtains. It was quite industrial and gothic but excellent for hiding in. I also went to see the original Beatrix Potter illustrations of Peter Rabbit which were wonderful. There was a room with all the original watercolours (and a few redrawn) from The Tale of Peter Rabbit, underneath were the words from the story so you could read the story as you went around the room. I would definitely recommend both these exhibitions along with Grace Kelly which I went to a couple of weeks ago. Being in South Ken we treated ourselves to Hummingbird cupcakes and after G finished work we went to see Toy Story 3D which was completely amazing! Go see this film, it'll make you cry, it'll make you laugh and it'll make you want to play with your childhood toys. This was the best of all 3 (if possible) and the ending couldn't have been more perfection. There are lots more exhibitions across London I want to see so I will keep you updated on what's good and what's not! But considering I have to hand in my dissertation next month it might be a while till I get to a museum again! Have you guys seen anything exciting lately, films, exhibitions or otherwise. Is anyone watching Sherlock on BBC1? I think it's pretty good! 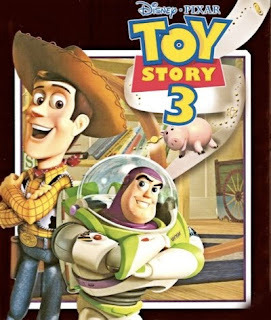 who hasnt seen toy story 3 yet! I do read Jazzabella's Diary but the funny thing is I don't actually like the V&A that much. I'm a science student so prefer the likes of the science museum, natural history etc I find all the art work and sculptures a little overwhelming at times and the fashion section there isn't that great. Saying that, I do love all the special exhibitions they put on. loved loking at all those cute little buildings - looks like somewhere I would like to visit! All of that was soo cool!! !